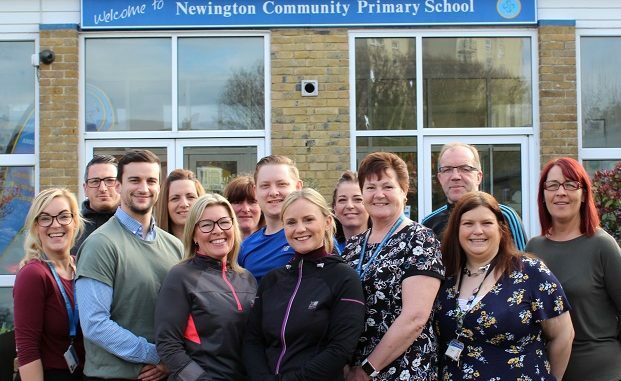 At the start of each new year pupils at Newington Community Primary School in Ramsgate are encouraged to make resolutions that they will try to keep throughout January. And in the spirit of togetherness at the school, teachers and staff made their own resolution to the children. They vowed to get out of their comfy chairs and get into training and take up running. On Saturday (March 23) the teachers Couch to 10k challenge comes to fruition. Encouraged by head teacher Cliff Stokes – a keen runner – the 34 men and women including teachers, teaching assistants, cleaners and kitchen staff line, up at the Granville Theatre on Ramsgate’s East Cliff at 9.30am and head along the cliff top and prom around the coast to Stone Bay in Broadstairs and back. There will also be a 5k route for those who wish to walk. Mr Stokes said: “It is a brilliant thing for the staff to do. We expect our pupils to do their best and stick to their resolutions they make on January 1. “This year, the pupils’ challenge, to reflect one of our core values of ‘grit and determination’, was to read for at least ten minutes every day out of school to further improve their literacy skills. The staff have been in differing levels of training for the 10k course for the last 12 weeks, depending on their fitness starting point in early January. Mr Stokes said: “Whatever level they are at, it will definitely have improved during the last three months, so they will all reap the benefit of this challenge. “Some of them have developed a love of running and now take part in locally organised weekend park runs for fun.